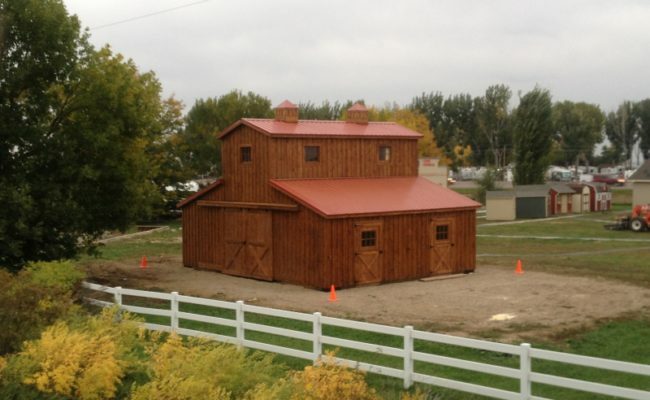 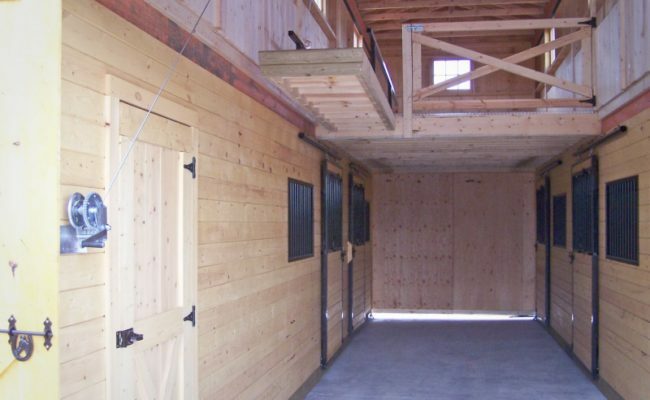 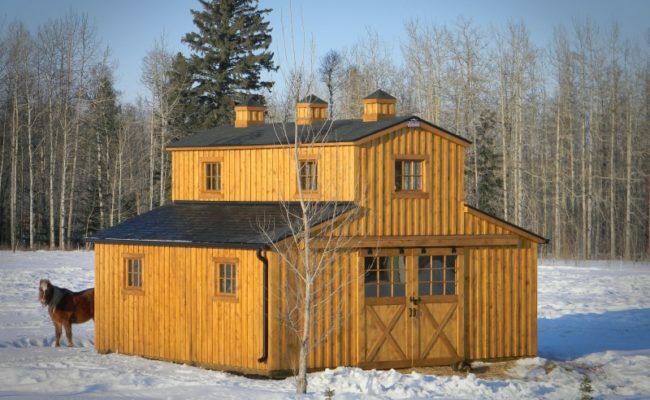 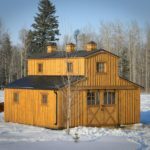 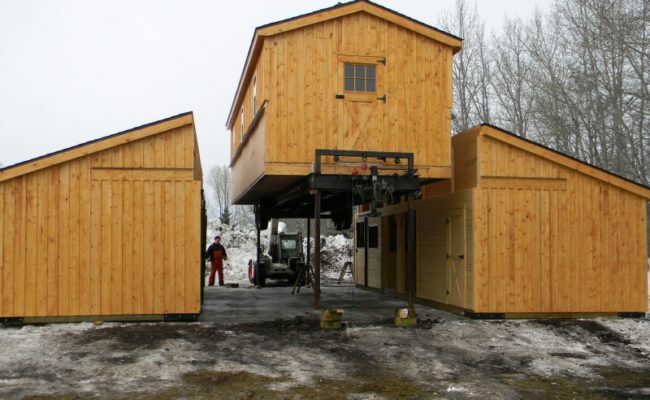 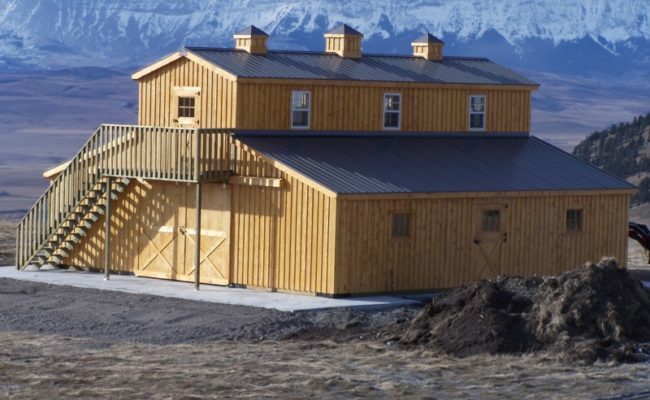 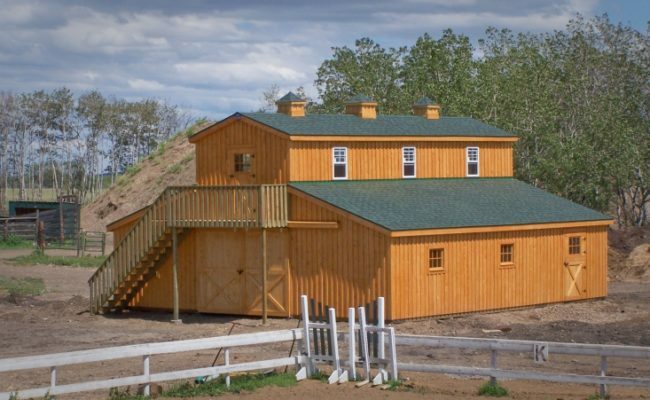 In 2009, King Engineering teamed up with Teton Structures, to design a traditional style horse barn that could be built in sections in the shop and field-assembled. 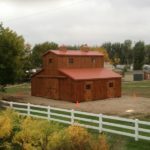 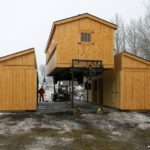 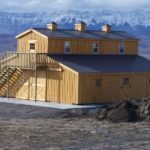 Shop fabrication allows for precise construction techniques in a controlled, weather-proof environment, something rarely encountered on construction sites. 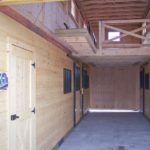 The result is this versatile design that can be customized in sizes ranging from 24'x24' to 36'x72', and various architectural styles. 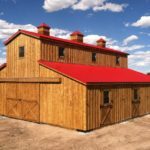 Barns are designed in accordance with local codes, sealed with our professional engineer stamp, and can accommodate extreme loading conditions, such as 100psf snow load and 160mph ultimate wind speeds. 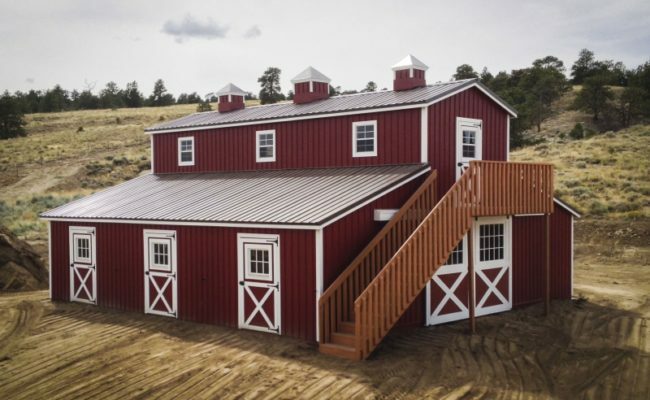 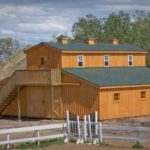 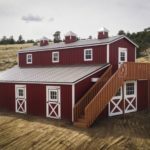 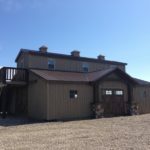 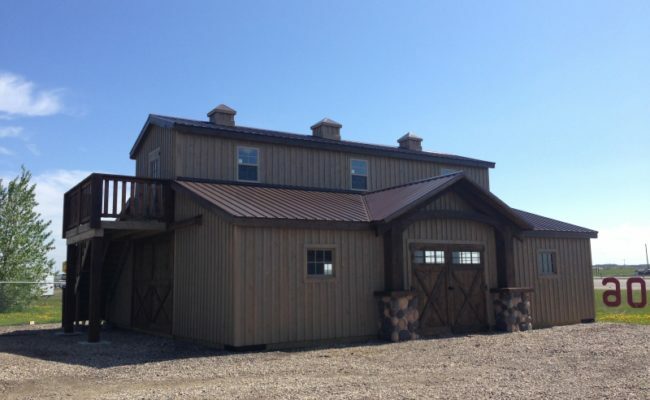 Barns are custom designed to the customer's preferences, shop-fabricated, delivered to the site, and assembled on a site-appropriate permanent foundation, also engineered by us. 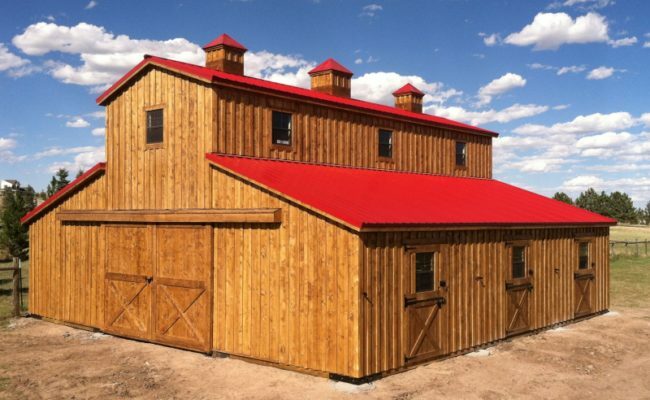 To date barns have been placed throughout Wyoming and Colorado from flat prairie to mountainous properties.